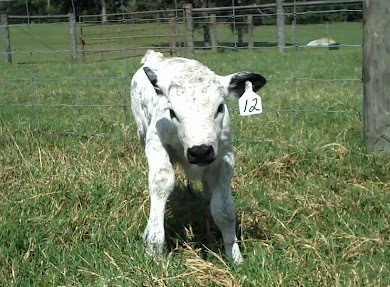 Jimmie's Blog - British White Cattle & More: Newborn British White Heifer! Have a look . 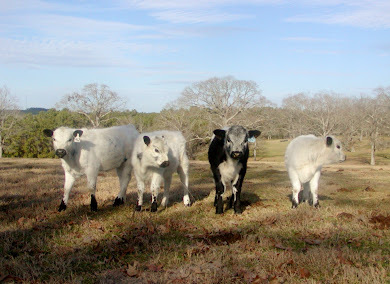 . . a rather long look, at J.West's Doc's Gal with her newborn heifer sired by J.West's Milo. The heifer is still wet from birth, and her dam is trying her best to lick her dry in the chilling wind. 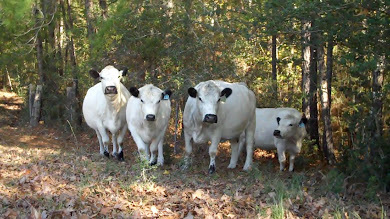 My dog, Lucky, is creeping around in the yaupon grove and that puts her on high alert, then you see a nice little bull calf coming to check out what's up, and he happens to be her maternal brother, my J.West's MsRae's latest calf. 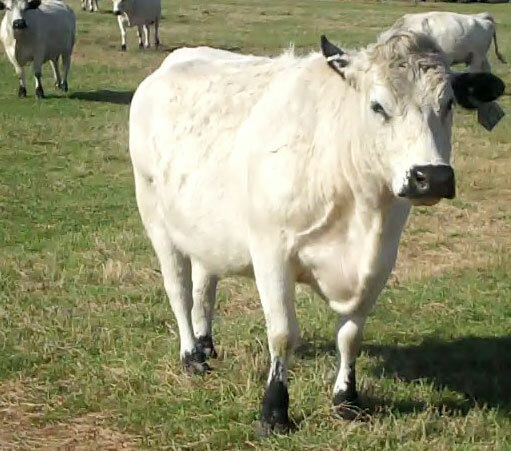 Doc's Gal is out of MsRae and Mazarati, both sired by my first herd bull, DFTX 'Doc' Watson, chosen by the late Bob Stanley as the bull to start his herd with. 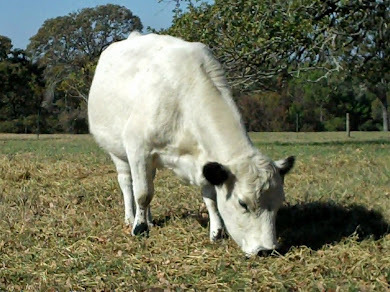 Doc was my first British White to hit the pastures some 14 years back. 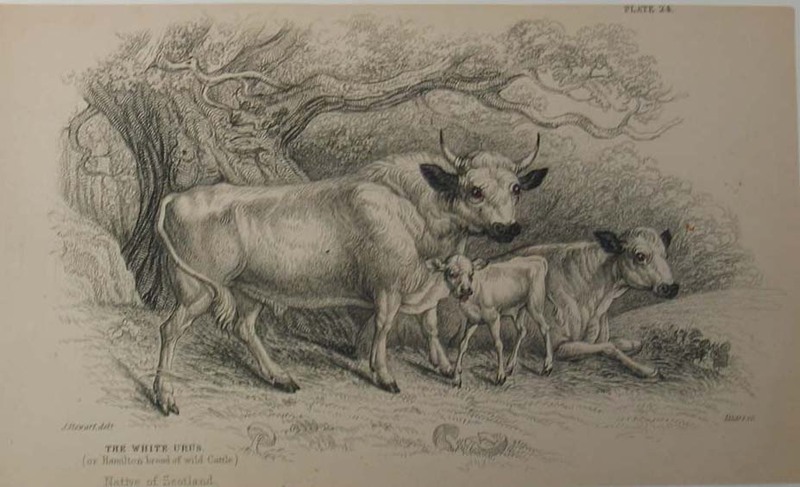 J.West's Doc's Gal was flushed for embryos that were exported to Australia for use at Shrublands Estate cattle farm. 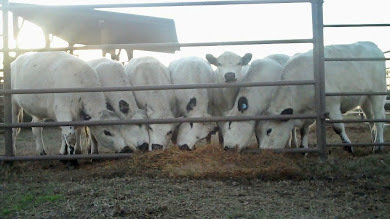 I do hope they have heifers from Doc's Gal bred to calve later on this year . 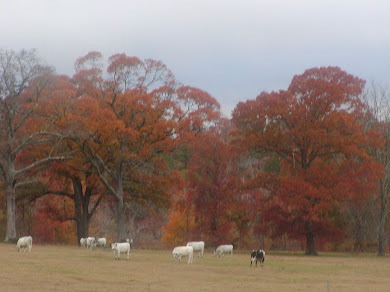 . . and even more hope they express the incredibly milky and beautiful udder of Doc's Gal.